Animal testing is a heavily debated topic these days as mankind have killed creatures for years in the name of science and medicine. For many industries, animals are disposable assets that they need to use in order to pass certain regulations. Without the required regulations from regulators, they won’t be able to sell their products anywhere. These industries, such as the cosmetic, shampoo, toothpaste and makeup businesses have no regard for the health and wellbeing of these animals. It is no doubt that these companies are using these innocent creatures for their selfish needs and any excuse is just cover the fact up that they have to “by law”. It is necessary to understand that animals are not just a number on a set of test results, they deserve a good life just like human beings. If you want to know why animal testing should be banned, then just look at all the terrible torture these companies put animals through. But it doesn’t have to be this way. There are actually plenty of alternatives that these companies can use. Although it is true that various medical treatments were discovered by scientists that tested on animals, those days are long gone. Today our world is so technically advanced and hi-tech that there are plenty of alternatives to animal testing. A budding scientist James Hickman, has created technology that allows scientists to experiment without the need for animals. By using a special simulation program, scientists simply input data into the program and realistic results come out. 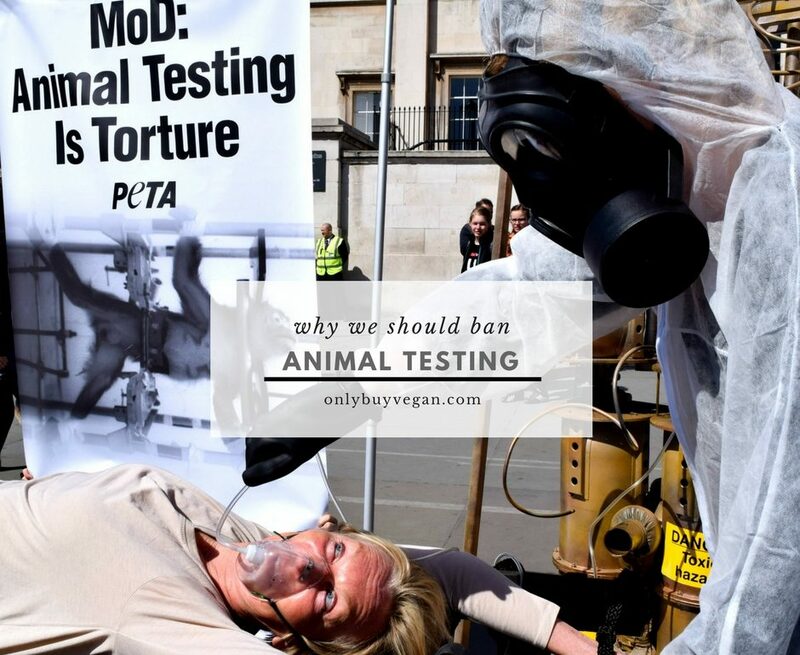 They are so accurate in fact, that this has already dramatically reduced the number of animals required to test on. In addition to this, a bioengineering student has also created 3-D printing technology that is enough to replace animal testing. Just like that, various students and scientist from all over the world are continually invested in finding alternative methods for animal testing. At the rate we’re currently going there’s a good chance all animal testing could be stopped within 20 years. Animal testing has recently been on the rise due to the increase in the manufacture of goods such as cosmetics. Not only are animals used to test cosmetics but certain brands also contain animal ingredients. It is essential that one should stop buying such products if they want to help stop animal testing. Companies care greatly about their customers. If all their customers were to stop buying their products and switch to cruelty free alternatives, then it wouldn’t be long before the cosmetic companies would stop animal testing. Some brands have been taken steps to protect animals by providing vegan products. Vegan products are products that are created with plant-derived ingredients and no animal based ingredients. Brands that are against animal testing are clear to show their consumers that they care. This is often done by displaying the green V symbol on their products which lets consumer knows they are vegan friendly. Before to check out our full list of vegan shampoo brands and vegan toothpaste brands. According to Professor James Hickman, the human body and animals are completely different. This might seem obvious but it’s actually an important point. There have been various tests carried out in order to prove this statement, and all have concluded the same thing. This is very important because if animal and human tissue are completely different, then what’s the point in using animals? If an animal is not affected by a chemical then what’s the chance that a human will be? In other words, the structure of both humans and animals are vastly different. Putting too much trust into this relationship is long outdated and new methods need to be found. No animals life is worth your cosmetic product, no matter how shiny it makes your hair. If you want to know why animal testing should be banned, then just take a look at your pet.